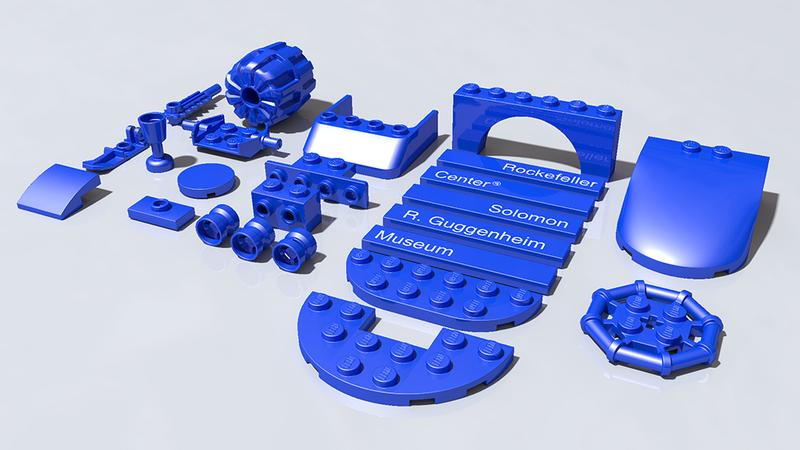 As suggested in the Eurobricks forum thread I decided to share my personnal LGEO library. at the end of your lg_defs.inc file (just above the very last "}") or use my own lg_defs.inc provided in the package (but it might conflict with Owen's one on some parts). There is a high probability that some Parts already exist in the Official LGEO library or other users-made ones. Be aware of it if you overwrite some file. You need to put LGEO.xml in your Ldview install directory (be aware that you will overwrite your own file that might have parts that mine doesn't have). Be carful: this xml file might give errors until I fully release all the parts that are in it (should be a matter of a few weeks). When colors are needed (for Patterns for instance) it uses Ldview exported material format (LDXColorx). My package doesn't contains lg_color.inc, but it must be accessible by PovRay. I'm sharing all my xxxx.inc files, but as I'm currently cleaning the lg_xxxx.inc files, I will make regular release of them (so during that time, there will be xxxx.inc files without lg_xxxx.inc files (so not usable) but I will do my best to release everything fast). The unpacked archive will be more than 1.5 Gb because of the high quality STL files, don't be feared of that, but make sure that you have enough hard drive space for it. Do not hesitate to test it, ask questions and give me feedback here, it works on my system but I don't know if it will in others. Is the lgeo.xml based on Owen's version? May I mix the original library, Owen's updates and yours together. May I use them for the AIOI? My lgeo.xml was based on Owen's one I guess, but might not be up to date. The one I'm currently sharing has my around 500 personnal LGEO parts in it, but as I'm cleaning the lg files one by one, I would say that my xml file will not be completely usable until I finish to release everything. Should be a matter of one or two weeks. 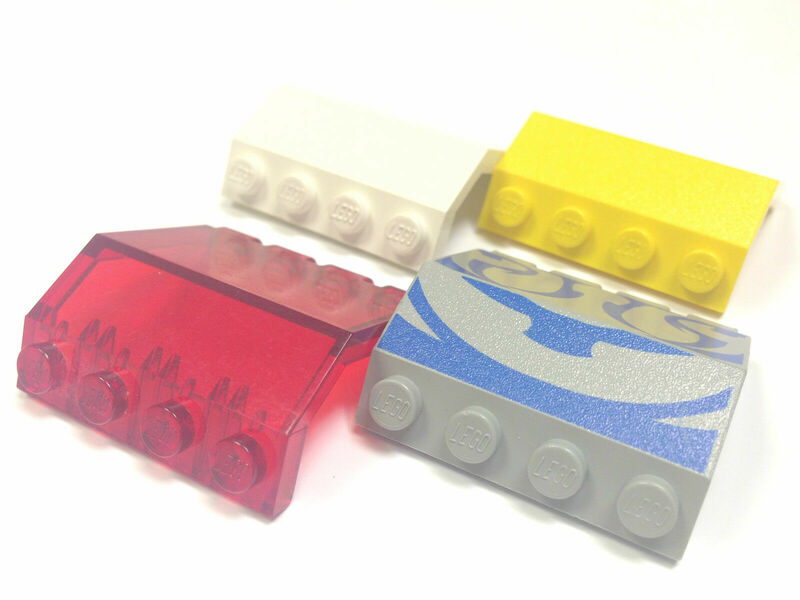 I will make regular updates on the Eurobricks forum. When everything will be done, I think yes, you could add it to the AIOI if the file size is OK. But before I need testers to make sure the parts are compatible with other computers. Can someone give a try with it? Especially with part 2340 (make sure to redownload the Package as it now contains a mendatory lg_defs.inc file). Don't do this, it will mess with Owen lg_defs.inc file. I will need to contact him to see if we can harmonize everything. As a workaround, you can get rid of the L3LgeoToLDraw errors by adding this at the end of your lg_defs.inc file (just above the #end statement at the end of the file). 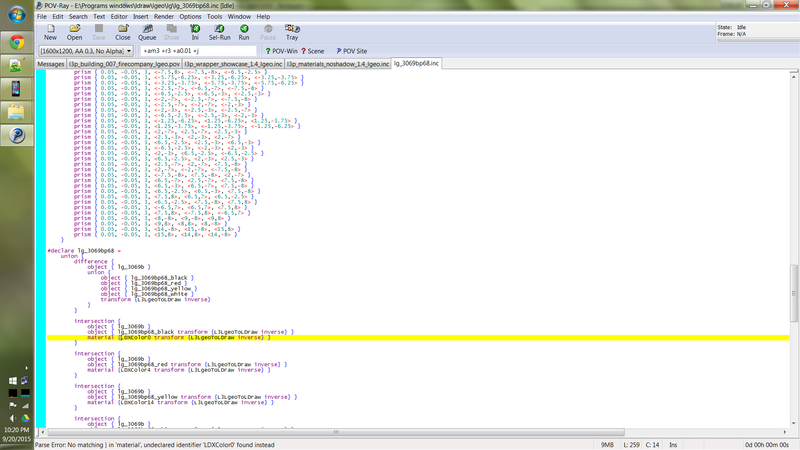 Someone has a problem with Ldview using properly my LGEO.xml file on the Eurobricks forum and I can't figure out why. Darats Wrote: My lgeo.xml was based on Owen's one I guess, but might not be up to date. No hurry on this. The AIOI usually ships in June and January. Consider the LDraw wiki as comune upload place for the lgeo.xml. Which page in the wiki? Thanks. You can download the files by clicking the links on the first topic. 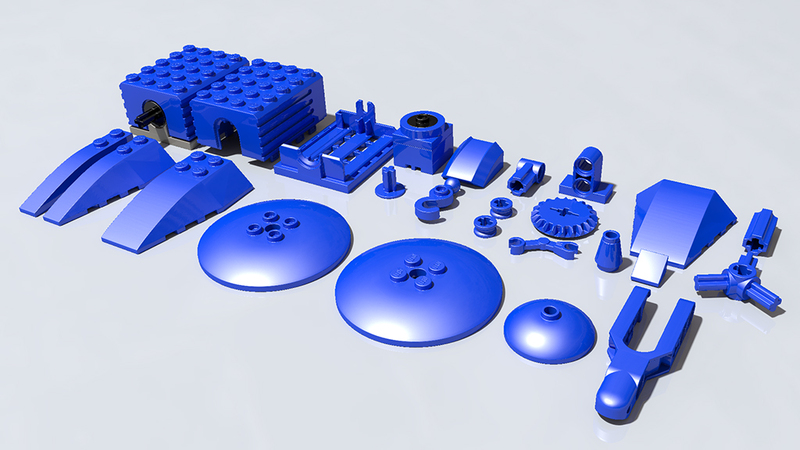 I'm a long time admirer of your incredible renders and I'm so grateful you decided to share your library of Hires parts. There's some feedback from what you've released so far. First of all, your parts are really great and I managed to include them in my library quite easily. For these, I had an undeclared material error on PovRay for LDXcolor383 in the 122c01/02 file. After investigation, the Ldraw u9132c01/02.dat subfiles for these parts use color 494 for the axle, so when translated to Povray, 494 is declared, not 383. Workaround 1: Edit the u9132c01/02 subfile in Ldraw and change color of the axle from 494 to 383. Workaround 2: Edit the 122c01/02.inc file and change "LDXcolor383" material to "LDXcolor494"
Not really an error here but it seems that your object is a bit longer than the Ldraw file. The 2609a.inc file refers to 2609a in the STL library. The 2609a file is not present in the STL folder you released. workaround: In the 2609a.inc file, I replaced the 2609a reference by 2609 , that is in the STL folder. It works fine now. The 2683.inc requires the "studel.inc" subfile, not released yet in your LGEO parts. So not really an error but just a missing file. No reference for this LGEO part in the "LGEO.xml" file of yours. I manually edited the LGEO.xml file to translate the part into Povray. 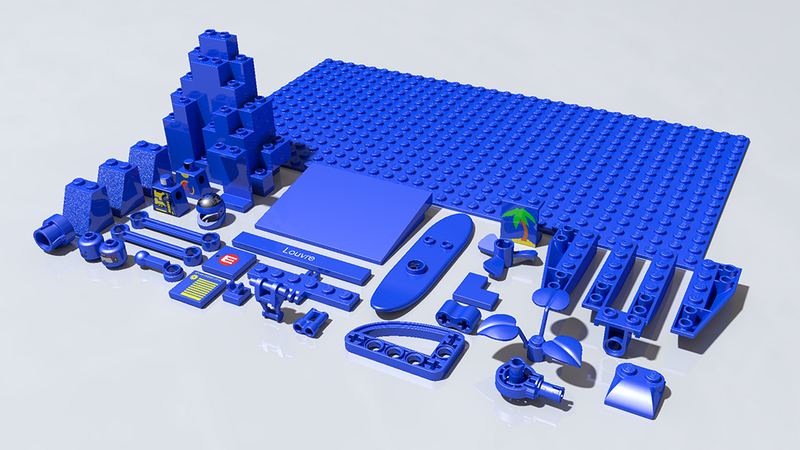 Except those minor issues, no problem encountered with the 186 other parts released so far. Thanks again for sharing your extensive work on those parts. both colors 494 and 383 are valid LDRAW colors. You should not replace one of these by the other. Instead, both must be supported the same way like the other, simple ones like "black" (0) and so on. Previous issues fully adressed and corrected. 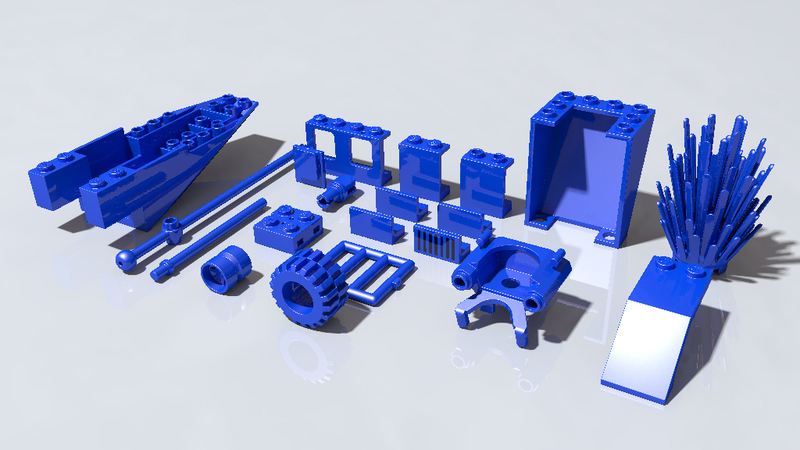 Regarding the last bunch of parts, no trouble on my system, every part installed flawessly and renders fine. I have just one minor issue regarding part 3297p90: the classic space logo seems incomplete, somme clipping occurs in the bottom of the pattern. 3297p90 has been corrected. Thanks for feedback. Every part released so far works fine. Just one minor issue easily corrected: no reference to part 4162p0l in the LGEO.xml file you provided. Thanks for feedback, I've corrected the LGEO.xml file. Part #4740: lacks the addition of LGEO primitives "lg_tech_knob" and "lg_tech_knob_clear" in the 4740.inc file. Part #4479: 4479.inc is 90° misoriented in the "y" plane (ldraw coodinates) regarding the ldraw library. 4479, I will have a look. Ok, the mistake was mine for the two parts. 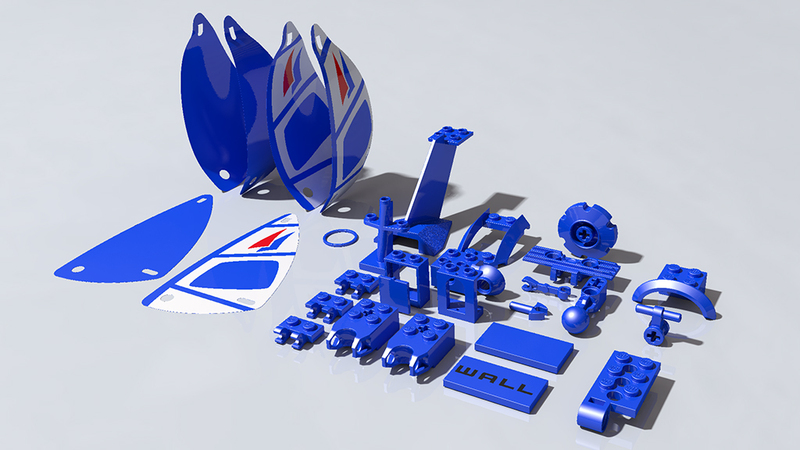 I forgot to update the STL folder for the last release and I see the folder have been updated for these very parts. All is fine with the new STL files. I have the lg_tech_knob problem too. It's probably my fault, but how do I resolve it? I cannot find a lg_tech_knob file in any of the LGEO libraries. lg_tech_knob, as all the other studs are defined in the lg_defs.inc file. Note : Due to the complexity of this pattern, this part could be extremely long to render if you are using very high quality radiosity settings (the picture above took me 7H to render), on low settings time should be more acceptable. Would you please contact me at willy(dot)tschager[at]tin(dot) for the inclusion of your parts in the upcoming AIOI? Are you in contact with Owen for a seamless mix of your parts with his library and more important a harmonized LGEO.xml? So hopefully, you got my mail. I just wanted to point out that this thread has become nearly unusable for anyone who has their preferences set to display in threaded mode, due to be absolutely huge (requiring a ton of images to be loaded), and nested to a ridiculous degree. I would suggest creating a new thread. Mmmh, you are right, I haven't thought of that. The pictures can't even be displayed entirely in nested mode. I can understand the nesting to be ridiculous here, but about the tons of image to display, I'm only making a pic per update, so what can I do. @ the forum admin: is there a way to rearrange that topic and un-nest each post with a library update ? I've never tired to do that but I'm sure it's possible and I'll see what I can do. I found a way to split/merge/reorder this topic. But this is time consuming so this will not happen in the next few hours. Anyway I will reorder this thread in a way that all updates will be posted as a response to the initial post. Well, your preview images on this page (24 so far) add up to about 8MB. In the overall scheme of things that's not all that much, but to view a single forum topic it's a lot. The only real solution to that would be to make the inline images here thumbnails that link to the full-size images. Travis Cobbs Wrote: Well, your preview images on this page (24 so far) add up to about 8MB. In the overall scheme of things that's not all that much, but to view a single forum topic it's a lot. But seriously the thing I miss most is the automatic thumb nailing the forum used to have. Maybe if the nested view was not displaying the entire thread but only a few posts with more than one page if needed, the entire thread would not be loaded each time. I don't really want to use thumbnails, it's extra work, and I would prefer as a reader to have directely image in full size. As for me, and this is only my thought, the nested view is not really convenient, I'm more use to classic chronologic view than this. If someone forget to click reply, it will mess up everything. This nested view was maybe convineient to old newsgroup type of forum, but I would certainly prefer something like Eurobricks. Solution: stop replying to each previous post. Then the thread won't be so nested. Only 2 or 3 updates and everything will be released. I will then start a new thread, cleaner for request and future updates. 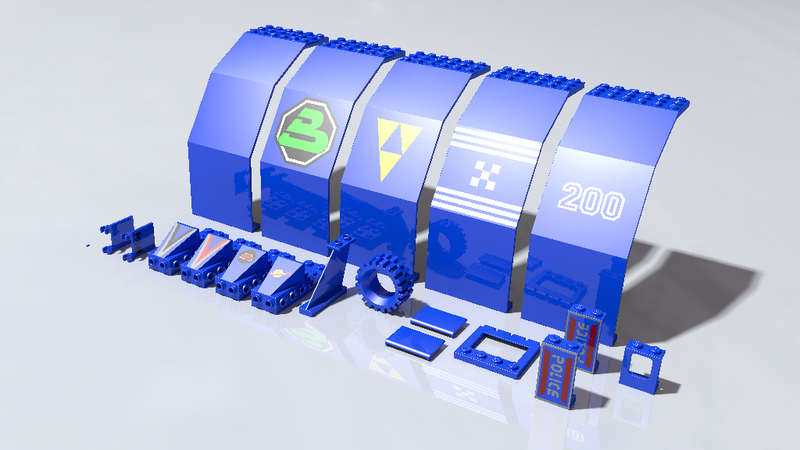 Just FYI, none of your Dropbox picture links work, either here or on EuroBricks. It seems like perhaps they're not public URLs. 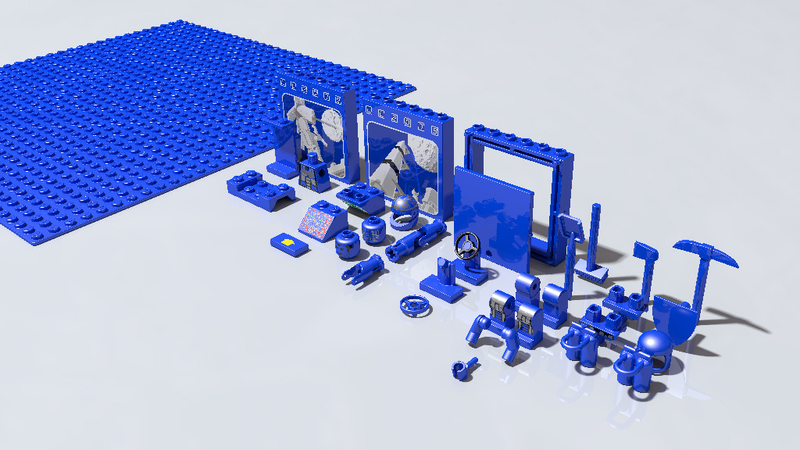 I will use Brickshelf for the pictures as Dropbox is not satisfying me for that kind of image hosting. I've been happily using imgur for quite some time now. No registration needed, and you can link directly to the images (no need to link to a web page). Just go to the site, click upload, drag and drop as many images as you want into the box, and then copy the links. Could you try to download my LGEO.xml file (link in the first post) and try to export a ldr file containing part 2340 from ldview to pov ray? Just to make sure the Pov output of Ldview works with my xml file and substitute 2340 by its LGEO equivalent. I would really appreciate as there is someone in Eurobricks forum that have problem using my xml file and doesn't get any LGEO replacement. I can't figure out why. It seems to work, but I am using LDView 4.2 Beta 1. It's possible there was a bug in LDView 4.1 that makes it not like something about your LGEO.xml file. Hi, „someone in Eurobricks forum“ that’s me. For getting ahead I completely removed LDraw and made a new installation using the all-in-one-installer (LDview 4.1). Then I installed LDview 4.2 beta 1 (Windows ) into the same folder, so that LDview 4.1 was overwritten. But the problem still remained: When I switch to Darats lgeo.xml file there is no LGEO access anymore. Even for standard parts like #3008 (Brick 1x8) the resulting povray file contains no code like “#include "lg_3008.inc". Switching back to the default xml-file everything works fine again. Any further idea what I may optimize? Thanks. Solved it! Darats LGEO.xml works fine! Thanks for that feedback, perfectely what I needed. 122c01, 123c02 : I think I've changed the color cause I found le ldraw one was not metallick enough when rendered, I will change it back. 556: the shape was based on a very early ldraw part. Since it has been officially release I need to change the shape and make it better. Studel: I will add it to the the package forgot that one. 973p66: if you redownload the xml file, you should have it. 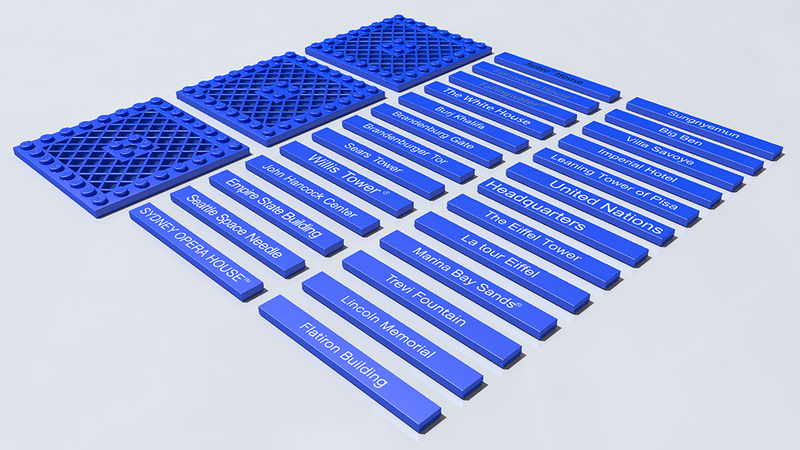 Do you mind sharing the STL files as well? I don't render with POV and would like to import the bricks into Blender or Cinema 4D. Unfortunately, I only use STL format to go from native CATIA format to PovRay. 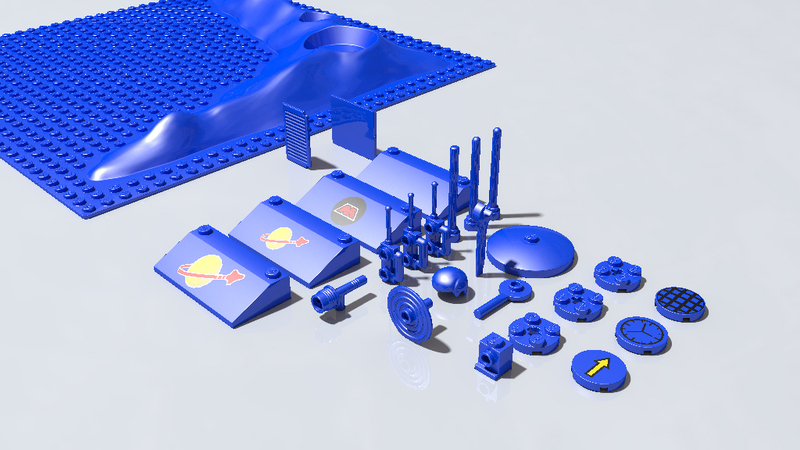 I don't keep the STL files, only the CATIA ones. I can give you a few parts if you want some, but I will not release them all. It's too much work. 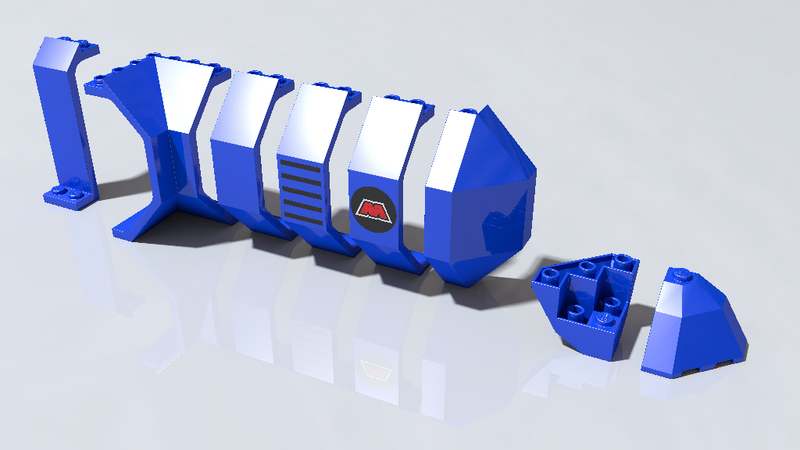 Also I don't model studs and understuds so the parts won't even be complete in STL. But I can fulfill a few requests if needed. Maybe you can also write some code to convert Pov geometry to a Blender readable format or use some kind of utility. According to the FAQ at povray.org converting POV to something else is not feasible/possible. I'm working on an importer for Cinema 4D and don't want to create the meshes on the fly but rather import them from an external library to use also meshes with higher resolution. I would appreciate to get some samples from you to test the import. Just some basic bricks and perhaps some more sophisticated ones would be great. 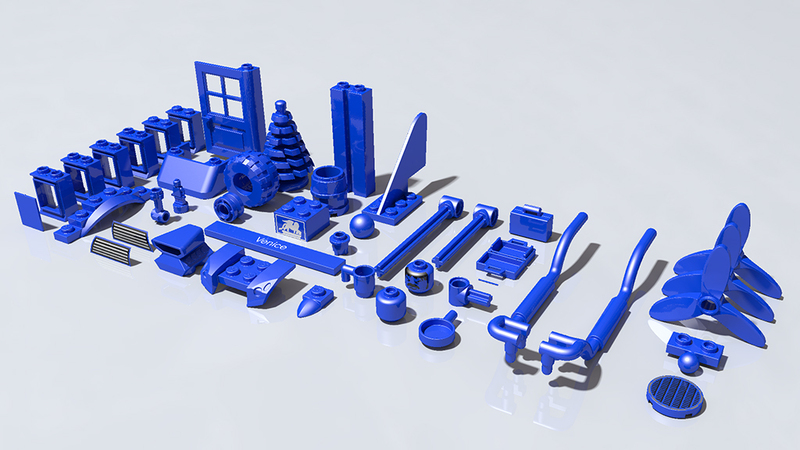 I've shared the 2998 part STL file : here. You can have a try. I know PovRay scenes are quite impossible to convert in another format, but I'm pretty sure it can easily be done for my STL PovRay files. They are only made of smooth_triangles, nothing really complicated to convert to another mesh format, I think. You are right, I was't aware that PoseRay can convert also to OBJ. I was able to batch convert 354 of your files back to OBJ and after some vertex optimization I got almost the same result like your provided reference STL. Thanks a lot, they are of incredible quality. I was wondering whether you still have the exported LGEO archive in OBJ format around. I would be interested to do some further conversions and starting from this would save me precious time. I have been checking the quality of your parts and I am impressed. I tried to convert some of them back to OBJ and I was in fact able using PoseRay, but I see that for some of your STL (.inc) files the studs are missing, probably because defined elsewhere. Do you know whether there is a way to convert the whole piece, and if yes how? I guess I am trying to do exactly what Gerard did recently so I was hoping to get some hint, but haven't heard from him so far. I'm still amazed on how detailed your parts are. If you don't mind, I have a couple of question regarding your library. 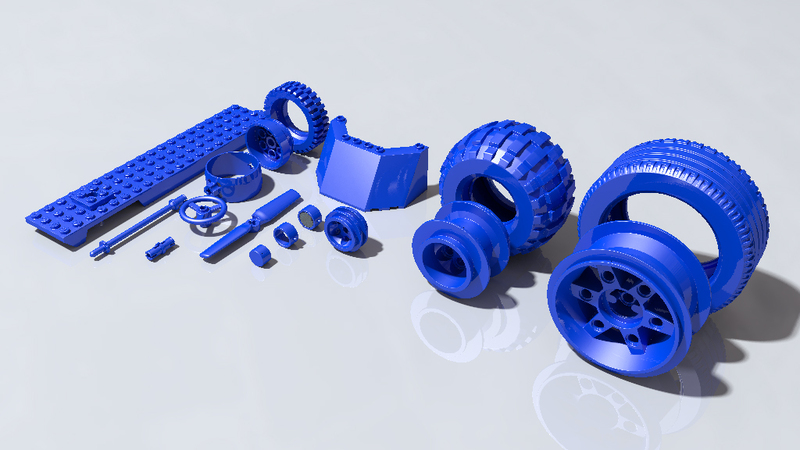 I see that you convert your parts from CATIA to Povray using STL2pov. 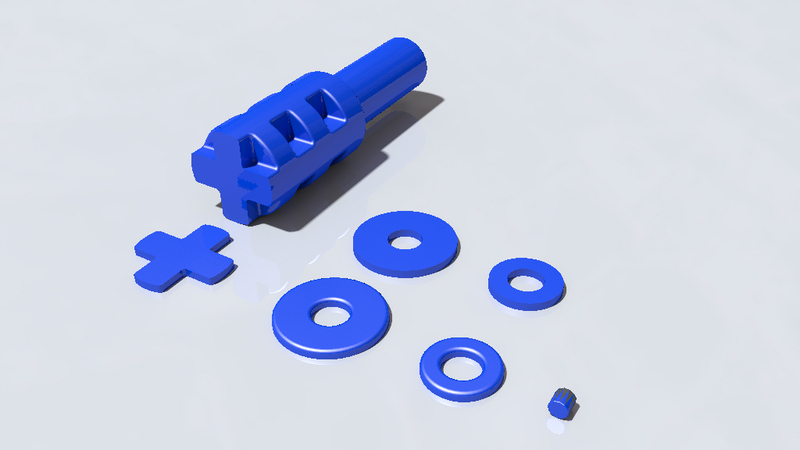 I tried myself using the converter a few years ago after designing my own hires parts with Solidworks. Although I had no issues when converting to simple triangles, the conversion to smooth triangles always messed up the result giving misoriented polygons. Curiously the result was part triangles and part smooth triangles. How do you process your parts prior to conversion to have only smooth triangles ? 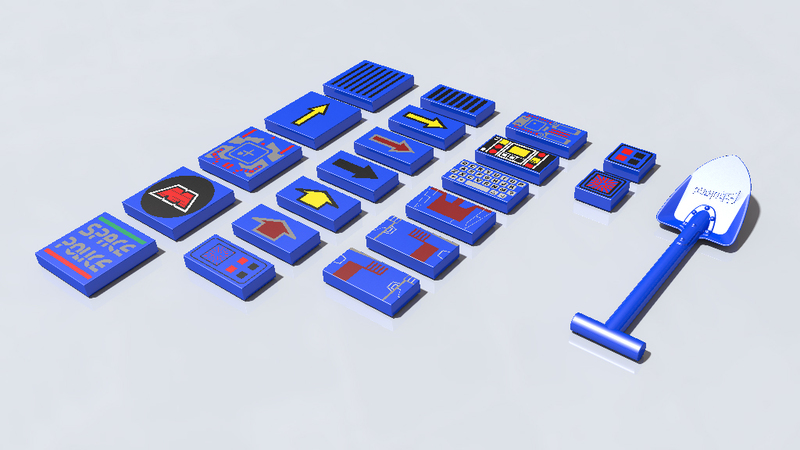 Regarding your printed parts, I'm curious about the way you convert flat 2D patterns to 3D objects. Is it automated or do you process each pattern manually ? I never had any problem exporting to smooth triangles, I can't really give you any hint on that, maybe Solidwork STL export is different from CATIA's one. 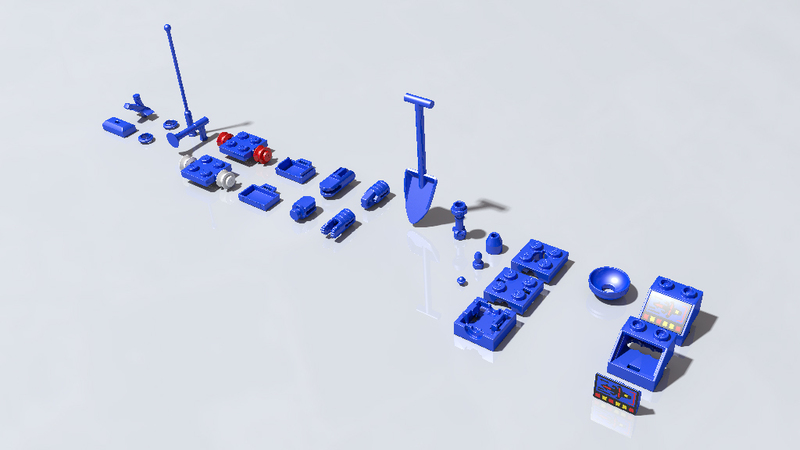 I simply export to STL with CATIA default settings and run stl2pov with -s option on. For the patterned parts, I export ldraw triangles to povray using the old L3PAdd-on program, then convert it to prism using a homemade VBA program, and then manually add them to the inc files. Then I manually add boxes, cylinders or what ever to improve the pattern and replace ldraw primitivé so let's say it is semi-automated. Thanks for anwsering my questions. For STL conversion, after deep investigation and a few tests, I think that maybe the problem is in STL2pov. I use version 2.5 of the software. For testing purpose, I used it on the STL file for part 2998 you shared with Gerhart afew days ago. The converted .inc file is messed up like mines. Looking at the files precisely, that's what I found. The flat triangles seem to be converted like yours, but the smoothed ones are different. as you can see, in the smoothed triangle, plans X an Y are switched, causing a 90° rotation. All others are rotated also. Unfortunately, I'm in a dead end as STL2pov 2.4.4 it's not available now. Do you mind in sharing with me your version of STL2pov so I can fulfill my tests ? I don't put the studs because they are already defined in the lg_defs.inc file. If you take the "lg_xxxx.inc" file I provided instead of the "xxxx.inc" file you should get the entire part (as long as you also get the "lg_defs.inc" file). Hi Darats, thanks for your hint. I am obviously missing something here and I apologize in advance for my ignorance. From my understading Poseray offers me the option to import only Povray (.inc) meshes files. So any lg_xxxx.inc I try to import into Poseray I get the error saying "Model does not have vertices" and "Model does not have faces". Only your STL .inc files can be imported (and then exported into OBJ). I also don't exactly understand how does the lg_defs.inc file would fit into the import in Poseray process. Please note I am currently just the Poseray tool, not POVray. Am I skipping or misunderstanding something? Any input from you or anyone who went through this before would be highly appreciated. Poseray doesn't seem to manage included inc files. You would need to inline the lg_xxxx.inc file into one single mesh. You should search for a tool to do that, or write one, or better : switch to Pov Ray for your renders as my library is intended for PovRay. Good job Darats! 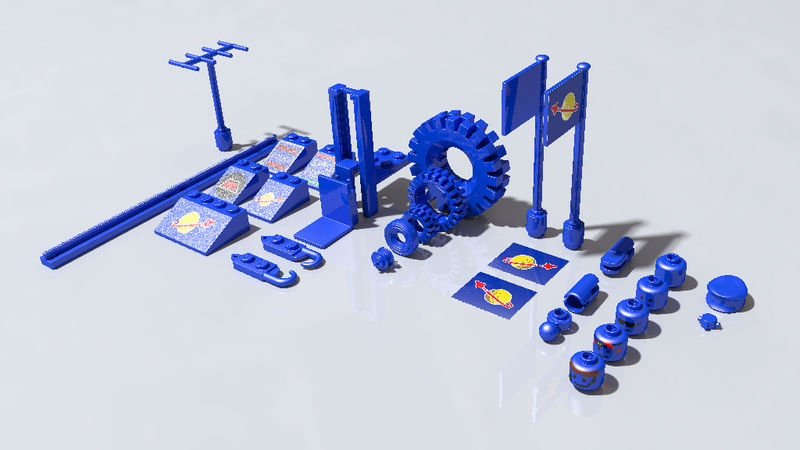 The parts are very nice! 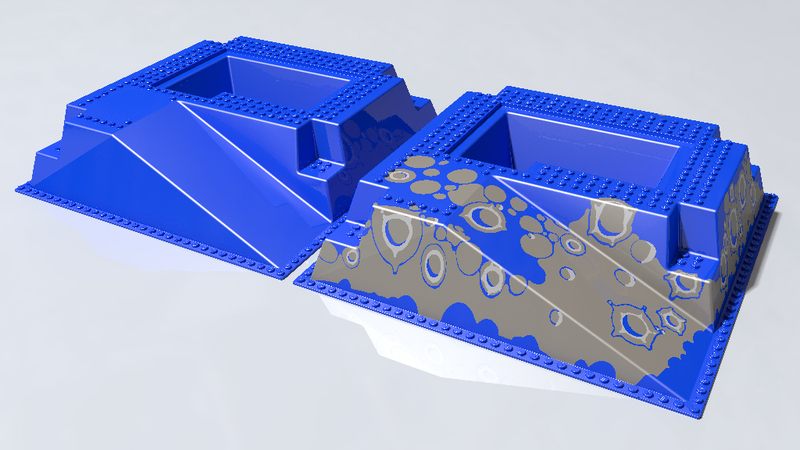 But I agree it might be better to have the studs in the STL files. Well, I was thinking about file conversion between formats, or when/if the LDraw format is replaced with a better CAD format with true non-polygonal curves. But according to a little research I did on Wikipedia it seems I don't really know what what STL is. So never mind. 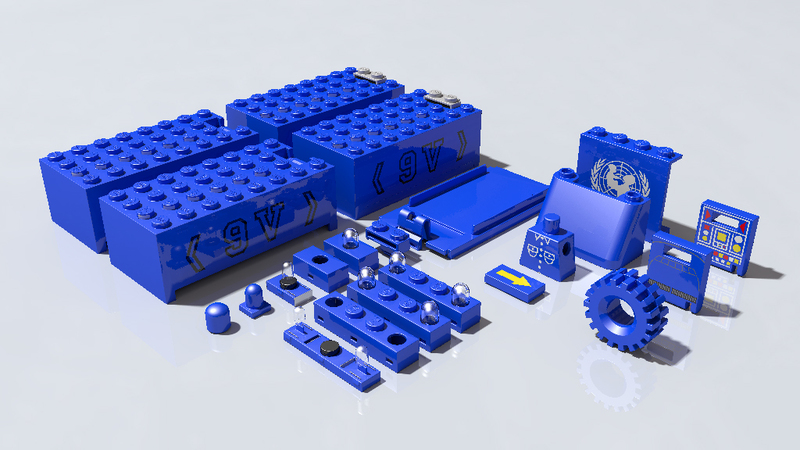 I only providing some new LGEO library high quality parts to be use in Pov Ray for renders of Ldraw files. I'm not trying to replace ldraw. I think surface made of triangles like STL files are faster to render than part made of mathematical curves as it implies less boolean operations. 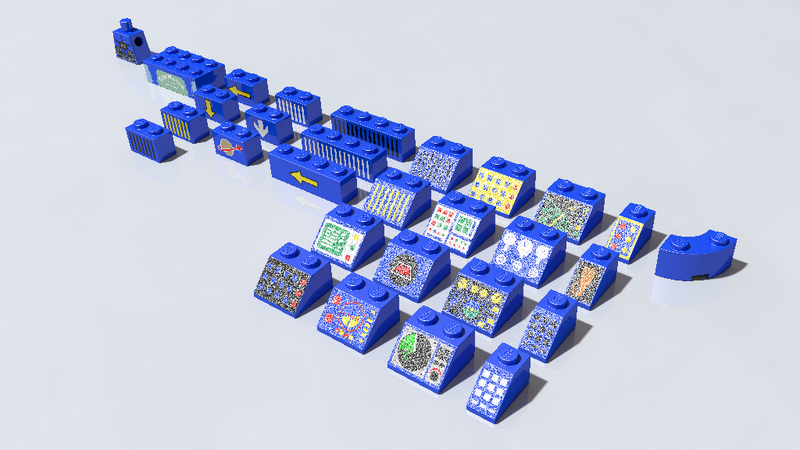 Puting studs inside my stl files would take me much more time, and we would loose the ability to turn of lego logo on studs. 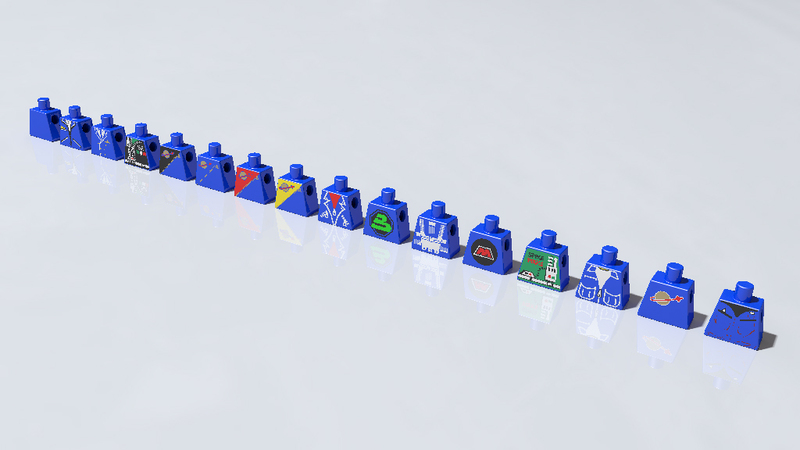 Maybe if the missing studs would be made also with stl files, it would be possible to write a converter that inlines everything in one file. Where can I download the newest and most complete LGEO library? Also, I notice that your archive does not have a "lg_colors.lst" or "lg_elements.lst" in it. Why not? I use L3P, and these files are needed in order to do the conversion. Quote: So we agreed on a new text file format and two new files (lg_elements.lst and lg_colors.lst) to replace the tab files. L3P has more or less being replaced by ldview. Therefore the .lst files are no longer used (by most of the userd), that's why I don't provide them in my package. It has been kind of replaced by the lg_colors.inc and LGEO.xml files. Currently, the complete LGEO library can be found in the Ldraw AIOI. My parts are not yet part of this AIOI, so you need to install them manually or wait for them to be integrated to the AIOI. I don't think LDView can generate a POV file from the command line however. I created my own lg_colors.lst and lg_elements.lst, but there's no point releasing them because of the color problem below. 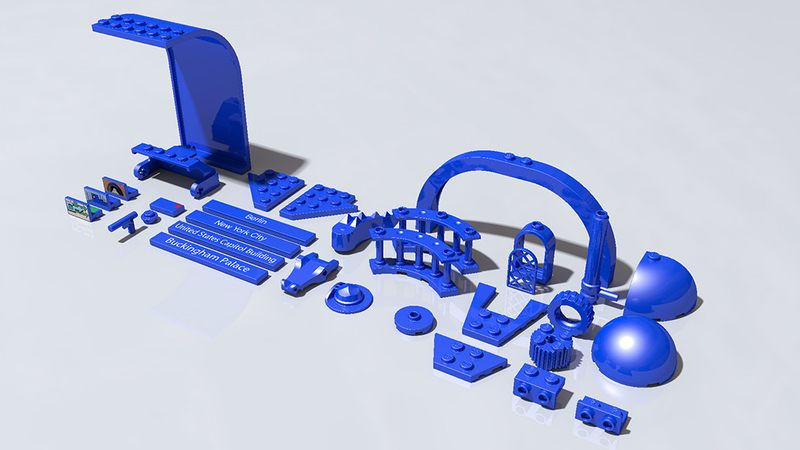 All the LGEO parts have been updated to use LDXcolorX color definitions. I guess you LGEO library is not up to date. I would suggest to restart from scratch and download the ldraw AIOI where you will find the last version of the LGEO library, then you should be able too add my parts without any problem. I can render using L3P so you should have a problem in you settings somewhere. Aslo, all the LDXcolorsX definitons are defined in the lg_colors.inc file, make sure you have that one. Maybe Willy can also tell us if L3P is still supported by ldraw AIOI. And what do you mean "I can render using L3P"? L3P is not a renderer. So he is not using LDView color definitions either. I meant: I can render a file generated by L3P with no problem. I've made that file to be able to change the default slope grainy surface roughness of ldview. With Ldview you get the LDXcolorX definition directely in the pov file. With L3P you get L3colorX definition in the pov file. If I replace all the LDXcolorX statements in all my pattern files, I will loose the ability to easily change slope surface roughness. L3P is officially discontinued and I will not change anything, but you can download my lg_color_slope.inc file which should solve your problem. L3P is officially supported an I need to find a better solution or to create some kind of compatibility file. Edit: Anyway, thanks for pointing this out. I'm quite prudent in releasing this personnal library. I want to make sure everything is OK before releasing it for the ldraw AIOI. That's also why I've said in the first post of this thread that the colors defintion should be ldview ones. Edit2: have you solved your lg_tech_knob problem? Try replacing the lg_elements.lst and lg_colors.lst files with the ones I've attached, add the -lgeo flag to the end of the command line, and run L3P again. You might want to ask on the POV-Ray newsgroup if there's a workaround. Whatever that may be, it should be applied to the older LGEO files as well, because currently things are not being done consistently. I solved the lg_tech_knob problem. The error says that LDXColor0 is not defined. You need to write #include lg_color_slope.inc somewhere above. When my library will be ready to be included in the ldraw AIOI, I will see how I can harmonize everything. Currently it is a WIP, sorry if I didn't take L3P compatibility into account. But I'm pretty sure the lg_color_slope.inc file should solve the problem. So you're creating three different sets of colors because you don't want to stick with the existing standard? - I cannot globaly control slope grainy surface roughness if the roughness is defined in the part inc file. This is the main reason I didn't stuck with the standard. 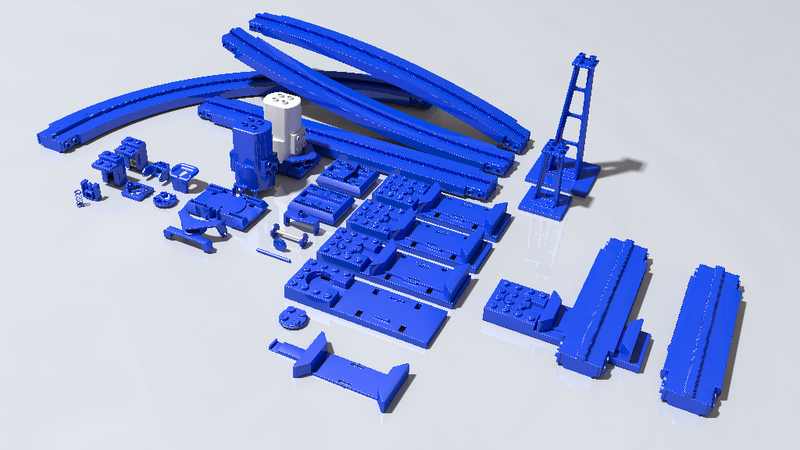 I can use the "standard" color definition and remove LDX colors from the parts, but not until I have found a solution that fullfil what I need. lg_color_slope.inc is a file for my personnal use that was never intended to be shared. I thought it would work for you, sorry if it doesn't. I still think you can use it as a workaround because it does work for me (with L3P generated files I mean), waiting for a better solution. It also doesn't need to help for the L3colors because those colors should aleady work for you. I've modified the Package (donwload link on the 1st page of this topic), now I have included a file call lg_color_LDX_L3P.inc which is basically a copy of my lg_color_slope.inc, but which define both LDXColors and L3Colors. Then it should work for both L3P and Ldview generated files. In that file you will be able to change the roughness of the slopes. Only one thing that needs to be done is to add #include "lg_color_LDX_L3P.inc" at the end of your lg_color.inc file (just above the #end at the end of the file). They differ from yours as well as LDView's. Ideally, these should have been defined by Lutz Uhlmann, not by Lars or you or Travis. Also, I just tried using your lg_color_slope.inc and the render quits when it gets to lg_metallic_dark_grey. Do you have an updated lg_color.inc with that color in it? Because it does not exist in my copy. That's why defining the slopes values in the part inc files is not a good thing. If you render a slope patterned part from ldview you will have a certain grain value for the main color but different one for the pattern color (because it is defined within the part). A user should be able to globally set the bump value he wants. Make sure to delete lg_color_slope.inc, and redownload my package and use lg_color_LDX_L3P.inc (see my post above for how to use this). I guess lg_metallic_dark_grey is a color I've added because it was not in the LGEO library. Just delete it from lg_color_LDX_L3P.inc (do the same if you get problem with other colors). I just can't share my lg_color.inc because I have heavily edited it, and I first need to make sure it will work for everyone. I'm planning to do it soon. That seems to work. However, make sure to update "lg_colors.lst" and "lg_elements.lst", otherwise L3P doesn't know which parts and colors to convert, similarly to "LGEO.xml". Also, I think the regular bricks should have a slight waviness in their normals as well. Does LDView not add one by default? You are right, but as I was not planning to share that file, I haven't cleaned it up. Just as an FYI, I can confirm that the LDX color defines come from LDView originally. The LDX stands for LDView eXporter (perhaps not the best TLA). LPub3D. LDView does not support command line and Trevor wants some POVRay - a view I do not share, since LPub 4.x has happily lived with LDView and LDGlite as sole renderer for years, but it is his prog and not mine. If you're going for L3P support it is your choice not my requirement. Damien Roux Wrote: Therefore the .lst files are no longer used (by most of the userd), that's why I don't provide them in my package. It has been kind of replaced by the lg_colors.inc and LGEO.xml files. It seems that lg_colors.ls and lg_elements.lst are not shipped with the current AIOI. Unfortunately leocad needs both of these files to export pov files. Could you restore them in your next release? I might be mistaken but the .lst files are no longer needed as the current AIOI is promoting ldview as a PovRay file exporter. You can still use LEOCAD as your model builder, but you should use ldview to generate the PovFile. I don't have those files anymore. Damien Roux Wrote: I might be mistaken but the .lst files are no longer needed as the current AIOI is promoting ldview as a PovRay file exporter. As far as I can see from http://ldview.sourceforge.net/ LDView has been unmaintained for six years. In contrast to that Leocad is actively developed my multiple contributors for more than 15 years, there are about 3 to 5 releases per year with 4 releases this year only, it is part of the repositories of multiple Linux distributions (Debian, Ubuntu, Arch Linux) and just as LDView is cross platform for Windows and MacOS as well. Is there a reason that lg_colors.ls and lg_elements.lst are not distributed anymore? Is it too much work to keep them up to date? Were they broken and nobody found time to fix them? Those two files are tiny so I doubt that it was their size that got them removed. I find it odd that the AIOI dropped files that disabled povray export of a widely used and maintained piece of software just because another abandoned and unmaintained piece of software does not require them. Why not just keep those two files so to not sabotage another piece of software? I find it even more important to include these files because I fail to find them anywhere else on the internet. Pointers welcome. I've found the files on my computer (attached in this post but you will need to change the .txt to .lst). But, I'm 100% sure they are not up to date and are not the same as they where released with the first LGEO library (I have surely modified them for my own pupose). So you can start from them to update them. Damien Roux Wrote: But, I'm 100% sure they are not up to date and are not the same as they where released with the first LGEO library (I have surely modified them for my own pupose). Many thanks. A rendering using Leocad and this file looked fine to my eyes. Could you include that file in your next release? I'm sure if there are problems with it, people will submit their fixes. Your way is inconsistent with older parts, and also makes your parts incompatible with L3P.exe. I think something should be changed. Just a heads up: the sub-surface scattering feature of UberPOV requires nearly all materials to have an ior. I'm not sure what the proper values are for metal, pearl, rubber, etc. though. 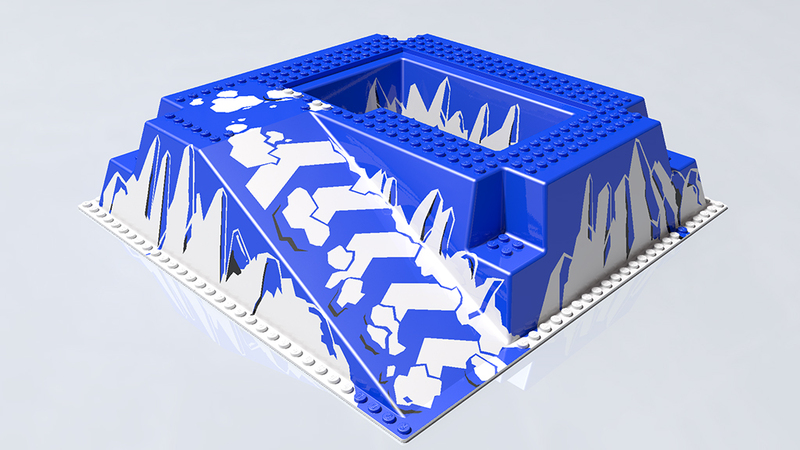 I read the hole post and are quite interessted in Lego brick rendering. First of all I'd like to thank you for the work to provide the high quality parts for rendering. I did the first step and created a directory called "parts" in my LGEO directory and copied all xxxx.inc files there. What I'm missing is the last part. How to I tell PovRay to look for the files in that location? I tried to render a part without adding the directory somewhere and I got a rendered brick, but where is the difference if I add the directory? Do the bricks look different? I suggested to create a new folder to avoid messing up everything as what I provide is still WIP. But if you copy all my files in your LGEO directory it will produce the same result. You can tell PovRay to use other directory by editing the povray.ini file. thank you very much. This was easy. By the way: Currently I load the .ldr files in LDView, zoom to fit "ctrl+f" and export the povray file. Is there a more easy way to "convert" a ldr file to a povray file? As far as I know there is no way to script LDView to do this. Currently I use a python script which starts LDView, sends the keys and closes LDView again. It would be very cool, if someone knows a nicer way. With ldview there is no other way at the time. I'm not bound to LDview. I just picked it as a first approach, since it works somehow. Is there another way known without LDview? Ok thank you. Then I think I'll stick with LDView for now. I would like to request a part for any coming update (if there's going to be any). I can't seem to find it anywhere, so chances are that it doesn't exist as an include file for the LGEO library yet. thank you very much for the great work. I just added the updated parts to my Queue of rendering the whole library. If you are rendering everything, do not hesitate to tell me if you find some errors. Can I ask why are you rendering the whole library? 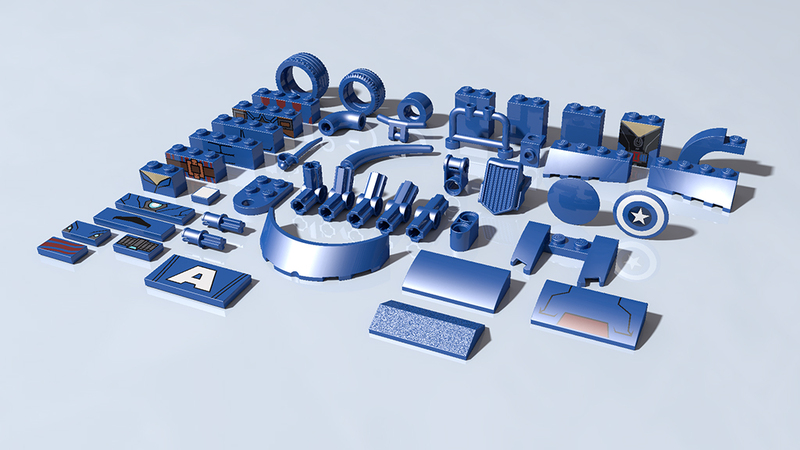 I think I already found some parts which look not that nice if they are rendered in high resulution, but maybe these are not from you. I can share the information after I did some review of the results. I'm rendering them, because I'd like to start a webpage where I want to use them. There are some pages around, but I don't like the rendered image that much. First of all I just want to start with searching the bricks. Maybe I'll add sets with part lists later on. I currently don't know where this is going, but I like high quality brick images . The community and especially you will be added to credits if it ever will go online if you like. I attached two files to show a current result. I really like the first one, with the reflections of the tyre holders. The second one is an example for a brick with some kind of problem on the outside. The round stud thingi is somehow flat on one side. The flat surfaces are real and very intentional. The real part looks like that. But, this is also a very good example of how simplified designs are missing a lot of details when rendered in hi-res. The real part doesn't look anything like this, at all. Many details are missing. 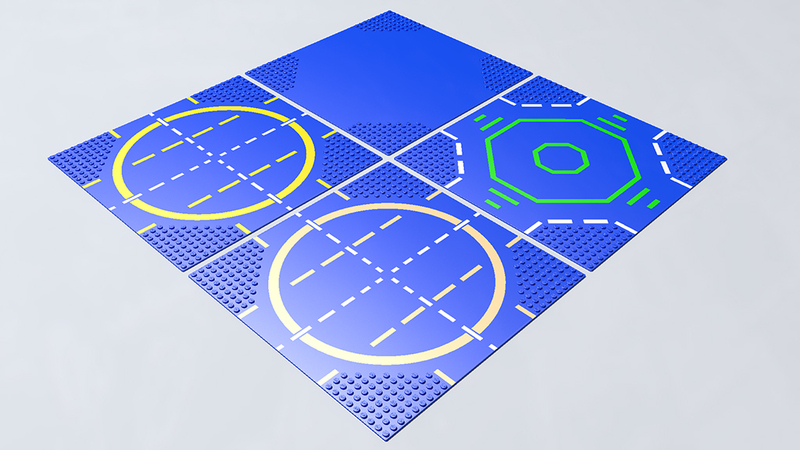 It should have a groove, like a Tile, around the base. The use of a half-sphere-primitive is a bad choise here. The sloping cylinders below the studs don't fit the studs. 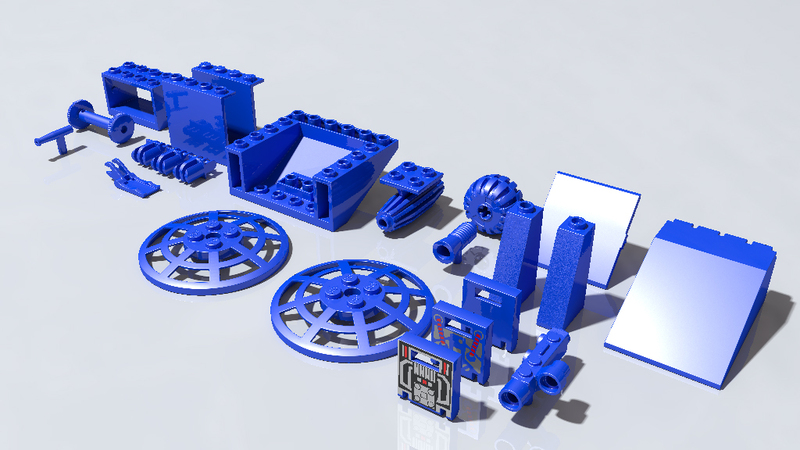 Please have a look at this part image from Brickset/TLG. Both parts come from my package. 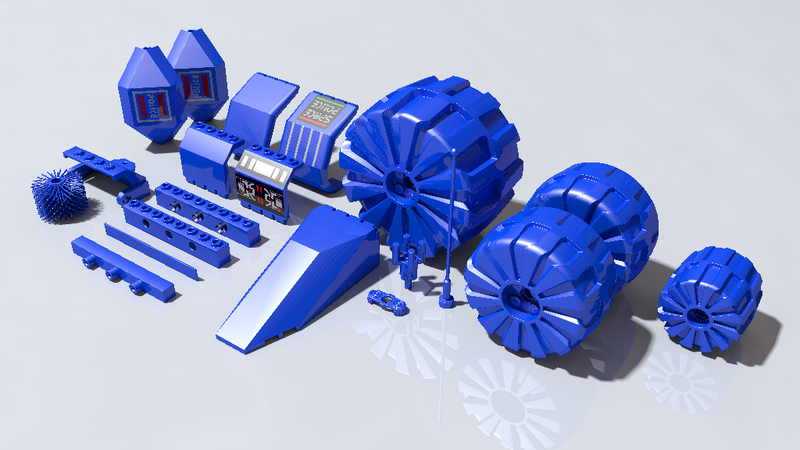 Regarding the Dish: I'm modelling my HQ parts using ldraw designs. As long as the ldraw part is like that, my LGEO equivalent will be like that. Maybe it's a part that could be reworked on the tracker. You can redownload my package, I've reworked the part's nomals, you shouldn't have the barely visible artifacts you have on you're picture. Thank you. I tried the updated part, but I don't see a big difference. Maybe I did something wrong during replacement of the part. Have you replaced both 2654.inc and lg_2654.inc? I haven't changed the geometry, only the normals. I redownloaded the whole package and replaced all files. I can also see that these files where changed on 12th November 11:30 pm. I think this is the date of change from you. I attached the 2654.inc file. Maybe you can check if this is the latest one. Oh ok you're right. I didn't know that. I doesn't have such a piece right here now. Thank you for the new piece. Unfortunately I wasn't able to find it in my LDraw directory. I Only have 2552 / 2552p05 / 2552p06. Do you have any idea why this could be the case? I've been pretty sure I did that already, but after another update the part is available. Thank you for the hint. I've discored a problem during rendering of part 3626c. PovRay is searching for the define lg_tech_knob_join in the lg_macro.inc file. Unfortunately it cannot be found. Any idea how this define should look like and where it belongs? You should fin it in the Ldraw AIOI. I not, I've attached it here. This is exactely what happened here. - you wait until I make my library 100% complient with Owen's part. I found a guy who might need some love on the normals. Can you help on that? Strange you got those faces. I tried to render that part and it was completely smooth for me. Have tried rendering the part with some area lights? Without are lights it looks almost smooth. There are some parts in the library where I've seen similar issues. I suggest, that I collect them and provide a list after I rendered all parts for the first time. I also have seen some parts where I think that something with the bounding box is not right and therefor calculating full view (ctrl+f) in LDview does not work. I can also add them to the overview if you like. 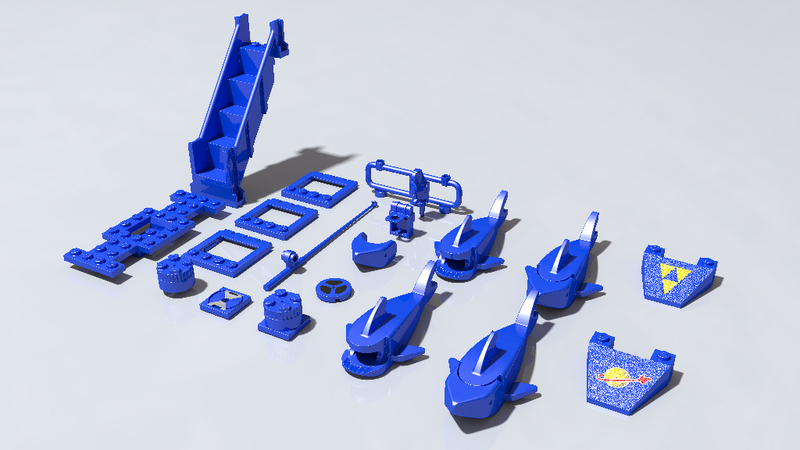 Did the updated 4589 part still give normals problems? Could you send me a pov files where you get those facetization? And yes, if you have a list of parts giving problems, It would be perfect. I did a review of my first rendering batch and found some parts which might need some adjustments. Since the review will take a while and we have to find a suitable process let's see if the data I can provide will help. Please let me know if you need more information. I took a look and only 2342 and 2343 have LGEO equivalent. So, for all the other parts, it's normal you uavr sharp edges because it is raw Ldraw geometry. The two others are parts from the original LGEO library, so a bit less quality than mine. But the studs are OK as for me. What I am interested in is review of my parts mainly. But what you provided is OK as a review standard. so if I got you right you won't provide high quality models for parts which are not available in LGEO. That's fine, but good to know. Than I'll treat them as final. Will there be updates for the two other parts somewhen in the future? If yes I will just wait for updates and I'll provide every now and them further reviews. It's perfectly fine if you only provide new packages if it makes sense for you. I have enaugh to render anyway . No, I did not meant that. I'm actually providing HQ parts for parts that are not in LGEO library. But actually, any parts not in LGEO library will give you sharp edges somewhere. This is why you have sharp studs here. 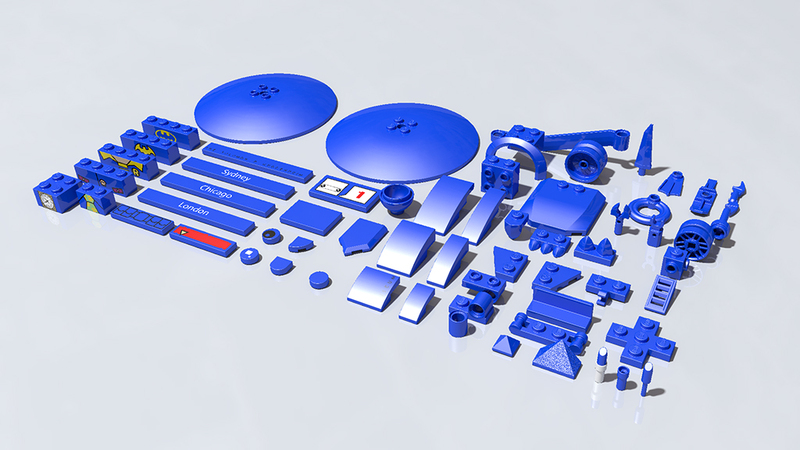 As there are a lot of parts, I'm creating only the ones I need for my renders. But you can make requests of course (as long as you don't request the entire library... ) Just give me a list, and I will do my best. What I am interested in is to know if my own LGEO parts give problems. None of the ones you pointed out above have been made by me. Only the 4589 part which gives you facets has been made by me, that's why I've asked if it still gives problems. Could you please answer me on that? 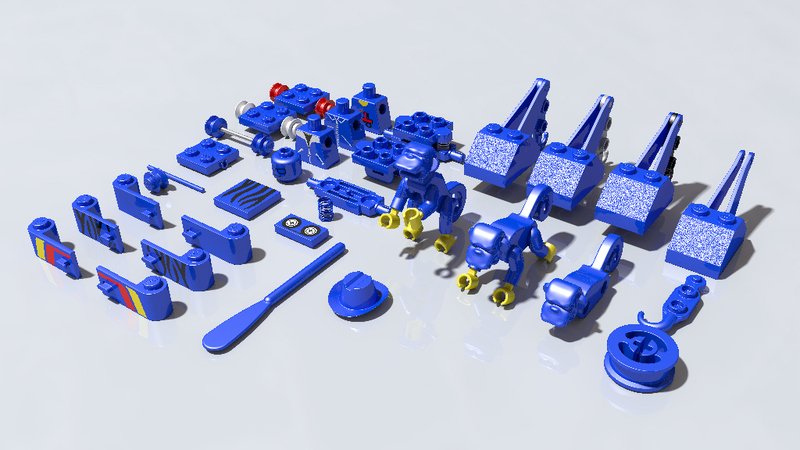 Then I keep going with reviews and you can decide which one of the parts you gonna rework or provide as new HQ parts. Maybe there is some point in time where we can have all parts in HQ but I'll take what is available until then. 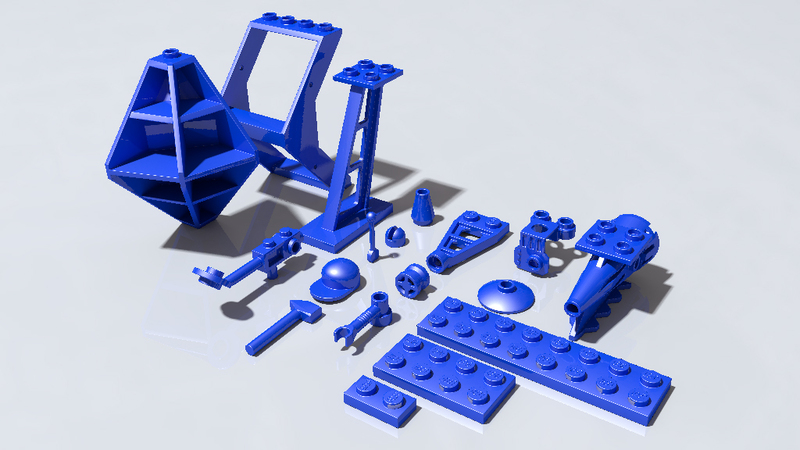 I attached the 4589 with a fresh exported pov file. If you can try to render the pov file we maybe can find out if something with my config is wrong. The problem comes with your area lights. Apparently your light sources are too much close to the part. Area lights shouldn't be used exactely as conventional point lights. Looks like the area lights are located inside the part, therefore the mesh is illuminated from the inside and the normals cannot do their job. Here there are facets, like the normals of the mesh are not taken into account. The shadows inside the part are also very grainy. No more facets, but too bright. Finally, I don't like those kind of render because it is really dark inside the part (of course because there is no light in it). I would turn on radiosity. thank you very much. Your theory with the normals makes perfectly sence. I didn't think about that. Did you use different light sources for the last render? It looks like you used bigger area lights and they are positioned different. I used only one area light, a bit smaller than yours. But the main difference is the use of radiosity. I also tried radiosity, but with multiple light sources. This didn't worked our very well. With only on light source, I've got nice results. I experimented with radiosity allready in the beginning, but I didn't came to a good result. With the new settings it feels promising so far. I'll start over render everything again, because of better results. I expect less problematic parts, since the problem with the faces seems to be solved now . And again thank you for the new parts. Some of them I've already rendered, but the new versions have better quality. So I'm gonna render them again. I was planning to start a new topic when my parts would be released with the AIOI. 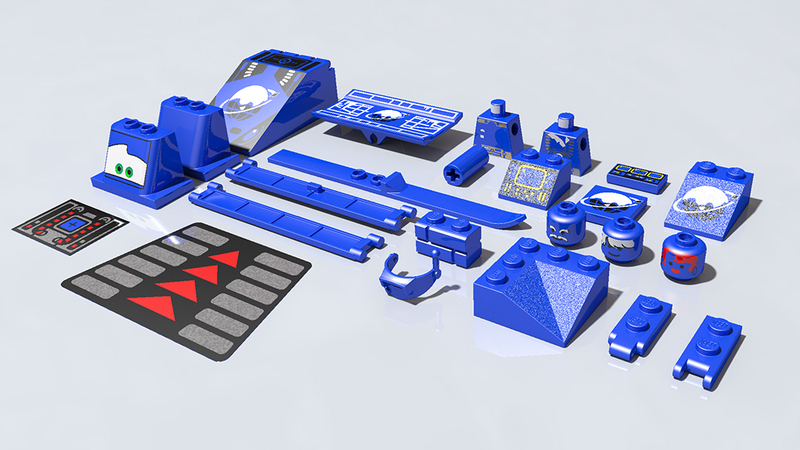 As it takes more timw than expected, I will creaze a new one for next parts release. Some more parts from review. I think most of them are not yours. Maybe the helmet? Ok, forget about the helmet. It is the same issue with the area lights. Looks great now. I'd like to send you a PM, but can't find something like this in this foum. Is there a way how I can contact you? 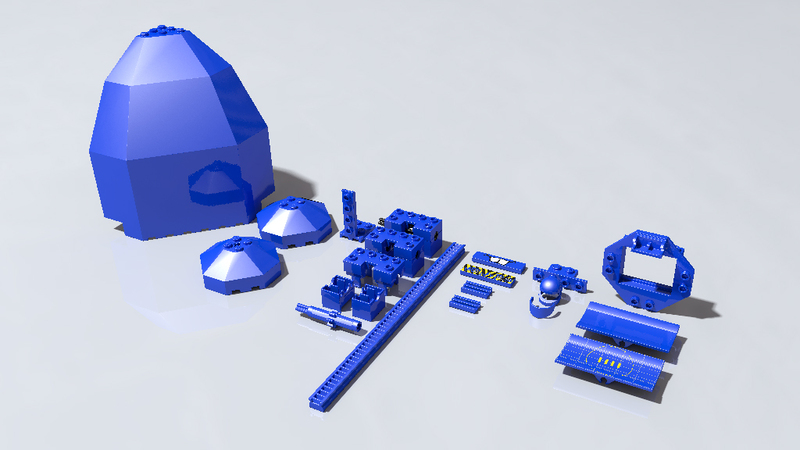 87079pz0: Tile 2 x 4 with Groove with Brickheadz Series Number "1"
I am rendering an old LGEO scene, but with your new parts library. When I try to render the scene it quits when it asks for "lg_2582_slope" which it can't find. Do you know what might be the issue? Thanks. The model was generated using L3P.exe. (2018-02-07, 12:44)Michael Horvath Wrote: I am rendering an old LGEO scene, but with your new parts library. When I try to render the scene it quits when it asks for "lg_2582_slope" which it can't find. Do you know what might be the issue? It might be a typo in my files, I will investigate and let you know asap. Historically LGEO considers 2582 as a "slope" part, with a grainy surface. Apparently I didn't consider it as a "slope" part. The question is : has that part a grainy surface or not? I can't answer as I don't own it. After a few search on the web, I would say that this part is not grainy. Only a pattern version is. If someone can confirm this, that would be great. (2018-02-07, 18:42)Damien Roux Wrote: OK, I see the problem. Apparently, it is not that simple. For example this one has a pattern and is not grainy (I own this part! ), but it is transparent. And this one is not transparent and is also not grainy. (2018-02-07, 19:54)Nils Schmidt Wrote: Apparently, it is not that simple. For example this one has a pattern and is not grainy (I own this part! ), but it is transparent. Thanks Nils for the info. So from what I undestand, only some patterns are grainy, and obviously, the unpatternd part is not, so I would say that my version is correct. - use my package, keep your existing L3P generated .pov file, remove all lg_2582_slope related stuff from your .pov file (if you can give me the entire .pov file I can do it for you). BTW, are you still using L3P or are you only trying to rerender an old file? I have a bunch of old scenes made with L3P. I think the bigger problem WRT the sloped part needs to be solved by LDraw parts authors. IMO there should be one digital part per real part, including the graininess, but ignoring differences in color. 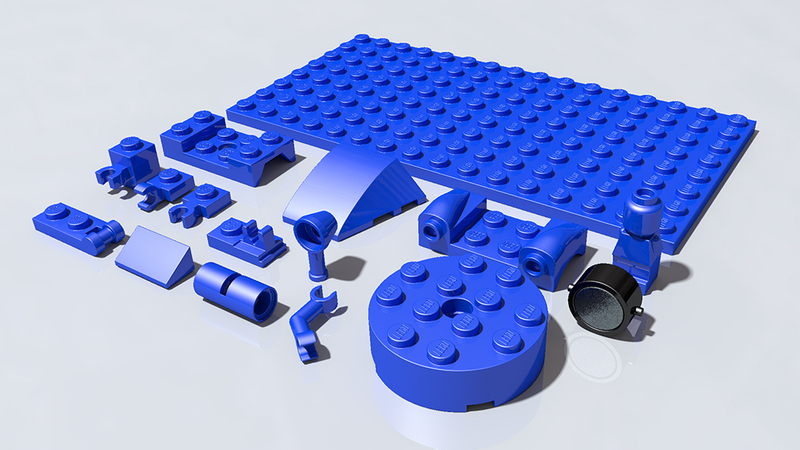 Part `lg_4070` asks for `lego_logo_text`, but this object is only created if the quality level is higher than 2. I think there needs to be a check for quality level inside the part. As I never render without Logo, I've never notice that. The Package has been updated, you shouldn't get the problem anymore. Three parts expect there to be a `LG_INNER_CORNER_SPACE` variable, but it seems not to be defined anywhere. As my libraby conflicts with Owen's one, those parts are giving problems. I have reworked them, so the problem shouldn't be there anymore. They will be "officially release" on my next update, but they are already in the package, so you can download it. 33291 is OK (see my previous post). But there are still 20 parts (made by Owen) that use the "lg_macro.inc" file, so they will give problems until I rework them. Hopefully on next update. Do you see any potential conflicts from dumping them all into the same folder? Just as importantly, does your version LGEO.xml include all of these? I would say, yes my LGEO.xml include all of these but my lgdefs.inc is not compatible with Owen's part, so it will give errors until I've replaced all the problematic ones. As stated in my first post it is still WIP. I am slowly trying to make it 100% OK but the work is quite huge, so it takes time. When everything will be ready my package will be part of the ldraw AIOI. I would say, make a copy of your current LGEO setup and give it a try! Is that plan still on track or did you loose interest meanwhile? Just asking because your last update of this thread is now nearly exactly one year old and I'm still looking forward to that official release. You did such a great work up to that point and it would be a shame if it now just get abandoned. (2019-03-03, 14:45)Thomas Chen Wrote: Is that plan still on track or did you loose interest meanwhile? Yes, this is still on tracks, just lacking time. I have maybe 20 parts to rework and I'm done. Then a few issues still prevents it to be officially release, maybe regarding compatibility with current LGEO library. I cannot give a date but I will try to get back to work to complete it soon. (2019-03-03, 22:09)Damien Roux Wrote: Yes, this is still on tracks, just lacking time. thank you very much for your quick and positive reply. I've created a GitHub repository for LGEO. You are welcome to contribue what you have there. PM me and I can give you admin rights. (2019-03-07, 16:40)Orion Pobursky Wrote: I've created a GitHub repository for LGEO. You are welcome to contribue what you have there. PM me and I can give you admin rights. I've PMed you bu5t got no answer yet. (2019-03-19, 0:38)Damien Roux Wrote: I've PMed you bu5t got no answer yet. I got it. I’ve just been a bit swamped IRL. I’ll try figure out what we want to do and get back to you very soon. This part is listed in LGEO.xml, but I don't think the LGEO part was actually ever created. At least, I don't have a copy of the part, and it causes POV-Ray to stop parsing because it is missing. "lg_4215a.inc" complains about missing object `lego_logo_text_clear` if `lg_quality` is less than 3. (2018-03-02, 3:17)Michael Horvath Wrote: "lg_3794a.inc"
Thanks for the notice. I will investigate. But PovRay shouldn't crash because of LGEO.xml because it doesn't use it actually. I do have a lg_3794a.inc file from original LGEO library. Maybe I have renamed it form lg_3794.inc, I don't know. I will recreate that part for next update, so the problem will disappear. lg_2345p44.inc is a part I forgot to include (for some reason), it will be fixed for next update. lg_4215a.inc is fixed, you can already redownload the package to get it. BTW, I'd like to thank you for pointing me all these mistakes, it helps a lot! Feel free to go on!